I'm finally ready to review a mask that has helped my skin so much while being on tretinoin. 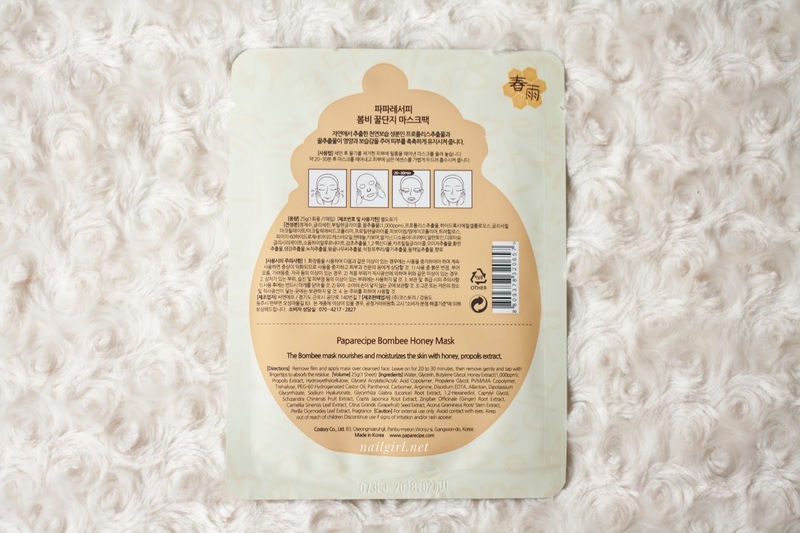 The Papa Recipe Bombee Honey Mask review quickly surged to cult status, and it's pretty easy to see why. 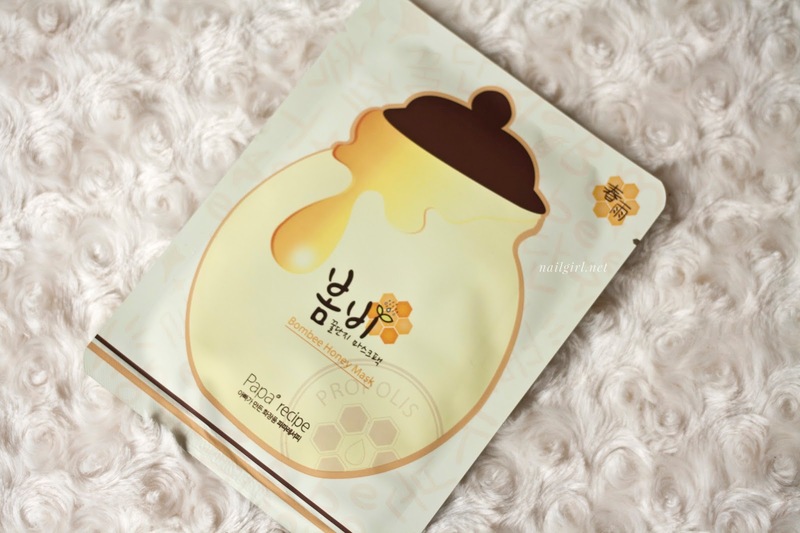 It features honey and propolis extracts, both of which are incredibly beneficial to skin. Researchers found that combined, propolis and honey have synergistic healing effect on wounds - this is exactly why so many people find that this mask heals and soothes sore, red pimples! Propolis also has an amazing antimicrobial effect which is super effective on any bacteria in the skin. On to the mask itself - a box contains 10 masks, each of which contains 25g of essence. Something I had heard a lot about this mask was how wonderful it smells! The smell is quite strong, but not overpowering. It smells sweetly floral and of honey - super soothing and relaxing. The mask is quite thin, but perfectly so - while the eye holes and nose holes weren't a 100% perfect fit, the thinness of the mask still allows it to contour to my face quite well. The mask is also super saturated with a clear, viscous essence. Combined with such a thin mask, it kind of felt like a hydrogel on my face. After I removed the mask, my skin was noticably hydrated. As I patted the remainder of the essence into my skin and continued with my routine, my skin was incredibly bouncy - much more so than before I had put the mask on. I also found that any active breakouts I had were less angry and irritated, and my face was overall much less red, which made my face look brighter. I paid NZ $25 at The Cosmetic Store, but I have seen the masks (whitening & black variations as well) available at Ippondo for NZ $19.99. I haven't seen them locally for sale individually, but they are online. Overall this gets a 5/5 from me! I always reach for this mask because of how well it soothes my skin after use and the long-term benefits of honey and propolis. Have you tried any Papa Recipe products?